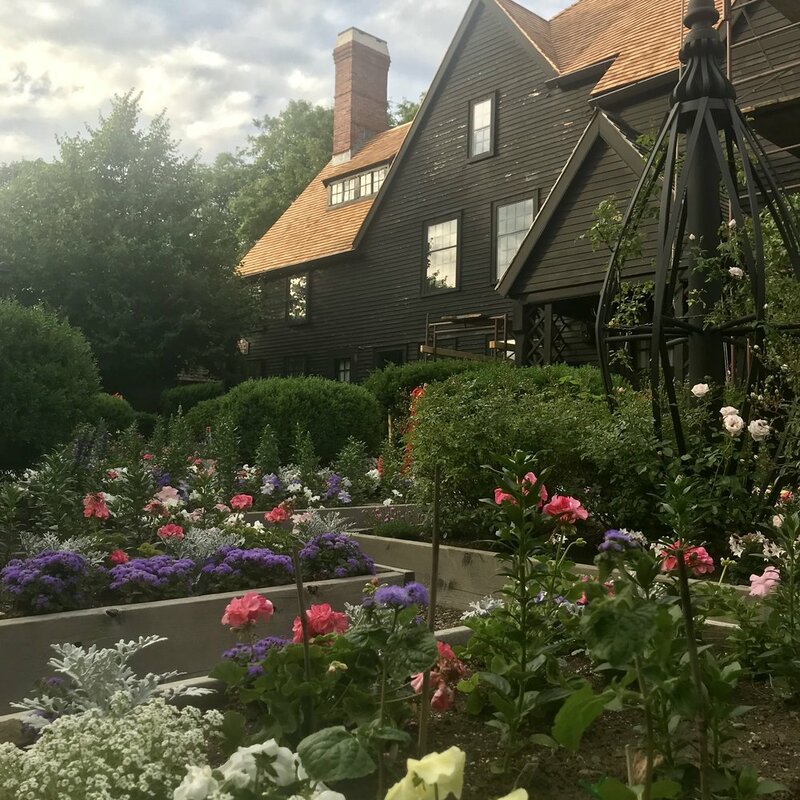 Another amazing summer magick event at The House of the Seven Gables! 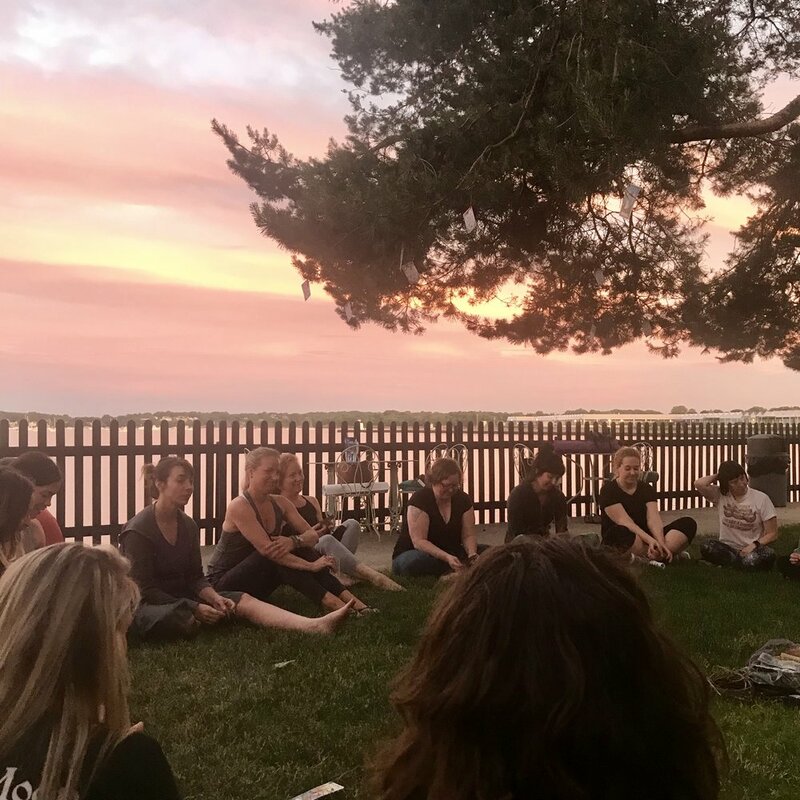 We, again, started with a beautiful 60 min waterfront yoga practice with Chrissy of Rebel Yell Yoga, which focused on the 6th chakra, and was infused with powerful feminine energy from The High Priestess. 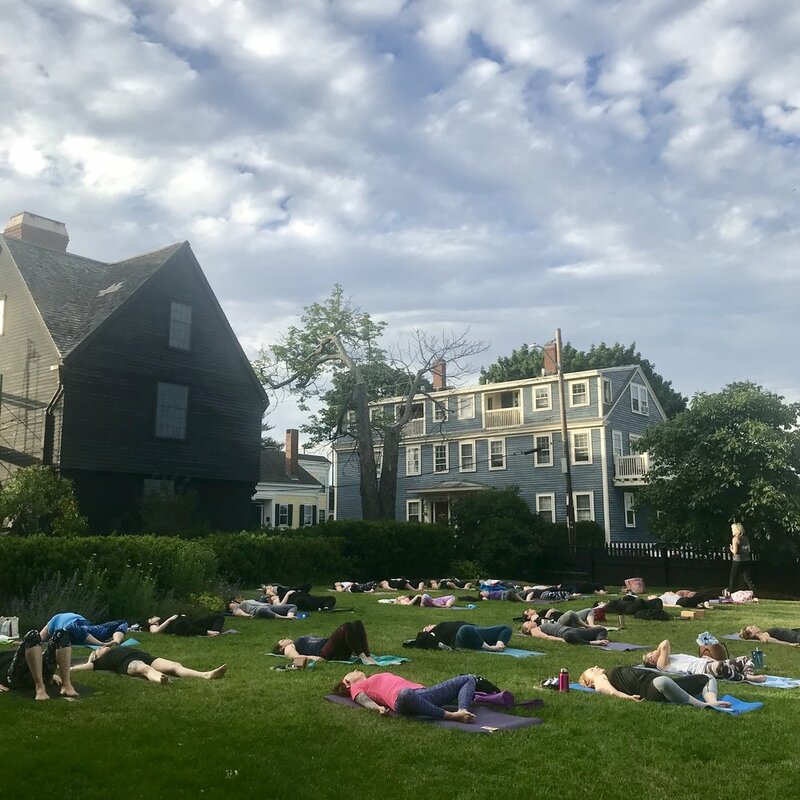 We then flowed gracefully into a meditative full sturgeon moon circle while the sun set over Salem. This full pisces moon meditation incorporated tarot guidance and assistance from some magickal plant allies. True release and manifestation with nature and the cosmos by our sides! 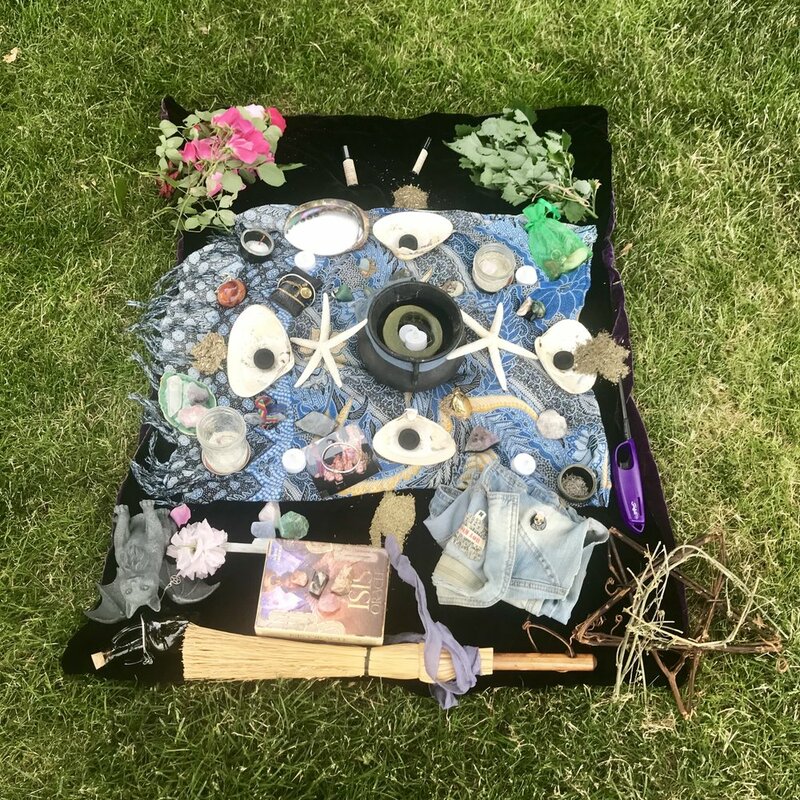 Check out the photographic documentation of this magick below (photos take by Kris of Dark Moon Tarot and Lauren of The Chaos Factor). Absorbing, freeing, challenging with a sense of meaning, joy, and passion. Yes, all of the above, please. What an event last night. 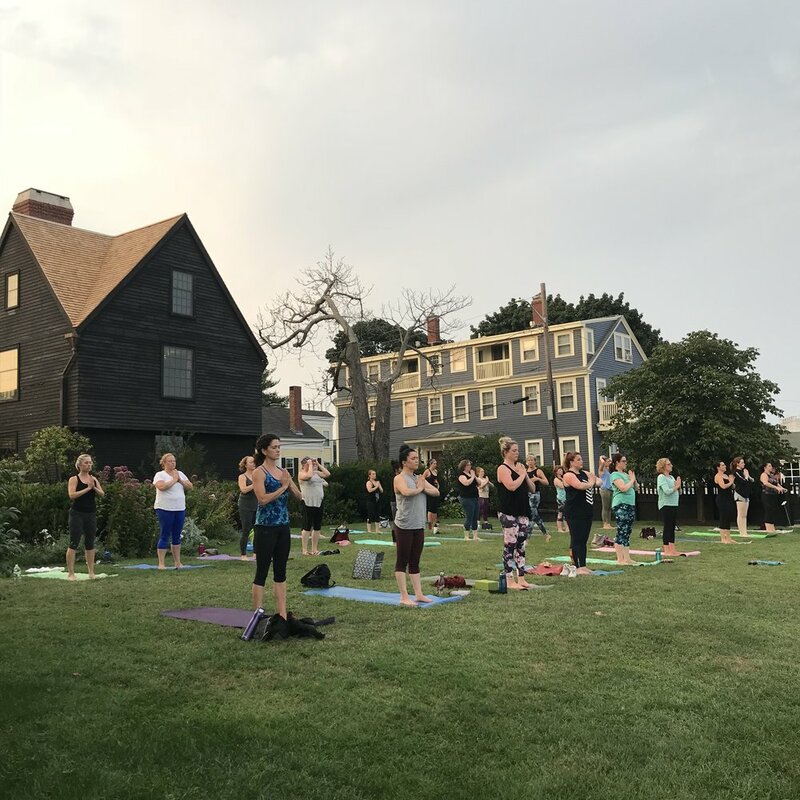 We were lucky enough to secure the waterfront lawn at The House of the Seven Gables in Salem, MA last night for an evening full of yoga, tarot, and herbal magic. So. Much. Magic. Summer Solstice, or Midsummer, is the longest day, and most fertile time of year, representing fruition, fulfillment, and consciousness. With the sun at its zenith, we aligned our personal zeniths of power, manifestation, and self-awareness with the elements, while dancing between the earth and sky. 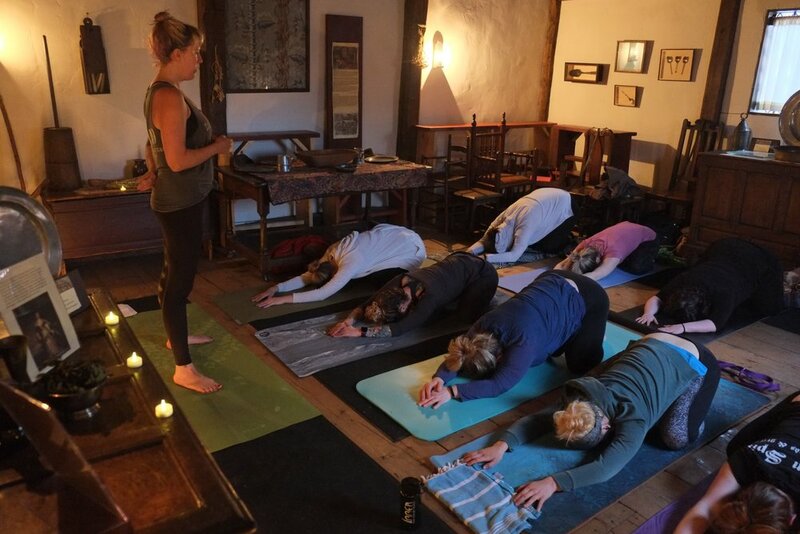 Chrissy, of Rebel Yell Yoga, led us through 60 minutes of vinyasa flow to harness the intense fiery energy of the solstice, and further connected and expanded through Tarot, and the 22 life lessons represented in the Major Arcana. 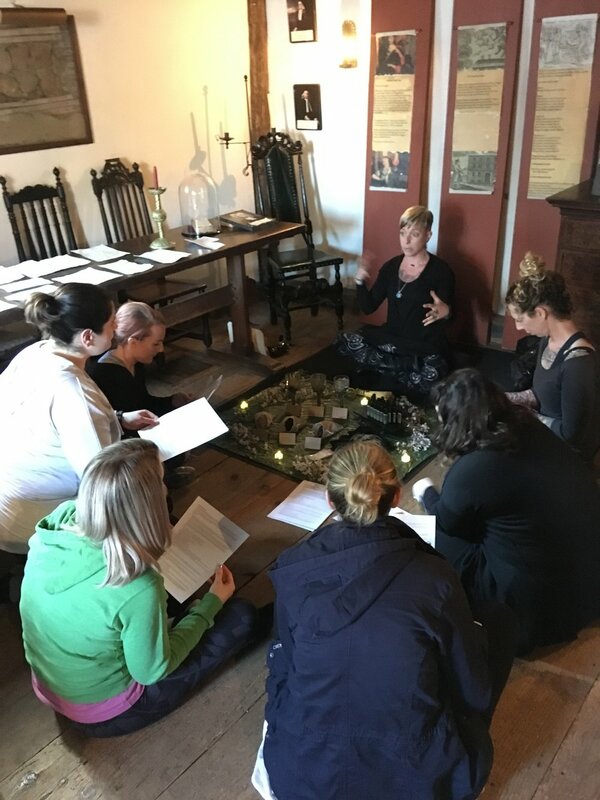 Every guest pulled a Tarot card at the beginning of class that served as a focal point for meditation and as a sort of "personal spirit guide" throughout the practice. After yoga class concluded, we spent 30 minutes in the solstice circle, opened graciously by Kris of Dark Moon Tarot. We were then led by Chrissy through a midsummer meditation honoring nature, the elements, and the bounty the earth provides in high summer! The circle focused on earth medicine through plants, devotion to and reverence for the natural world. 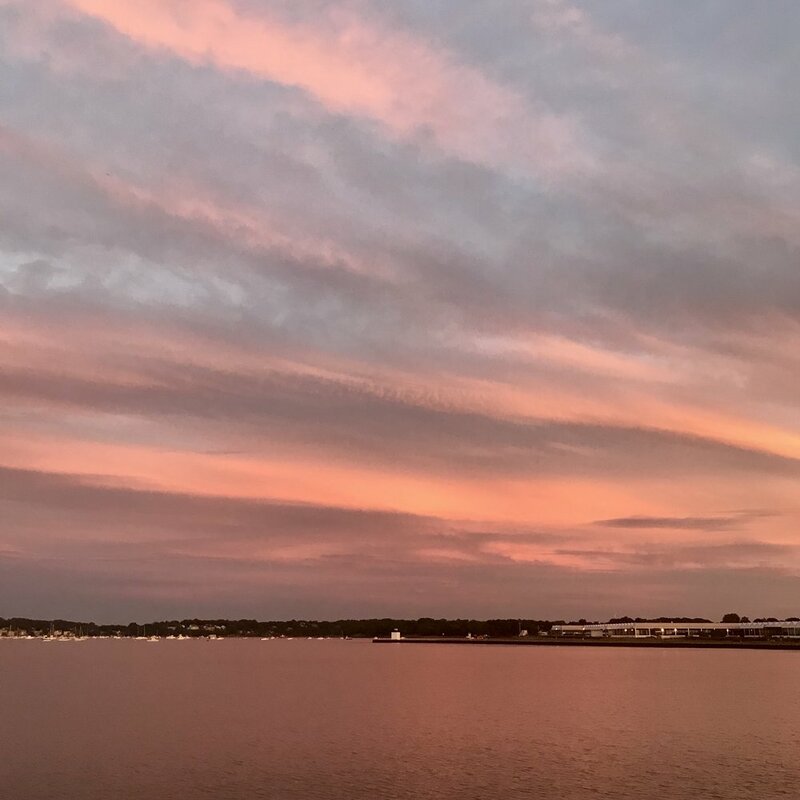 The historic Salem backdrop as well as the beautiful ocean landscape and impeccable timing of the stunning sunset was enchanting to say the least. We could not have asked for a better vibe for this event. But please check out the photos below... we think they speak for themselves. Tarot cards in the trees. The House of the Seven Gables garden. Lavender surrounding the yoga lawn. A beautiful backdrop from all angles. The best yoga studio in town. Herbal beauty goodies for the guests. Kris opens the solstice circle for meditation. Chrissy is our magical guide. Oh, hello sunset. Welcome to the party! Thankful for our otherworldly city. Post-magic LoWreck and Chrissy glow. Happy Beltaine everyone! I think we are all still flying high on the magic from Sunday evening. What an amazing night of partnership to celebrate this sabbat as well as the full moon in Scorpio. 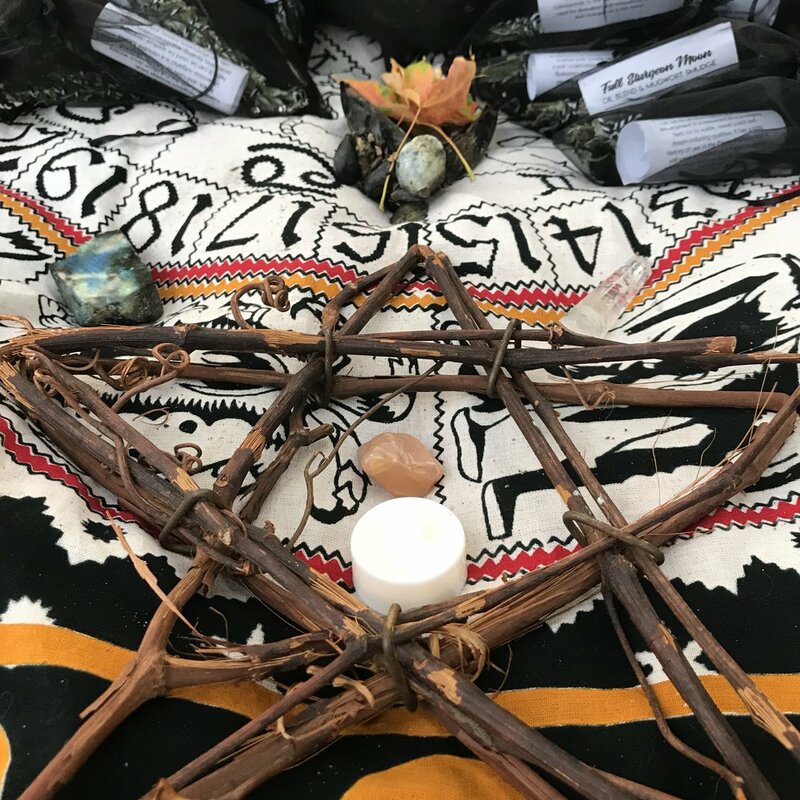 With the special talent and enthusiasm of Rebel Yell Yoga, Dark Moon Tarot, Creative Collective, Witch City Wicks, and Scarlet Letter Press, we created an enchanting one of a kind experience that included a meditative yoga flow, Beltaine spell bag crafting, and tarot & birth chart readings. 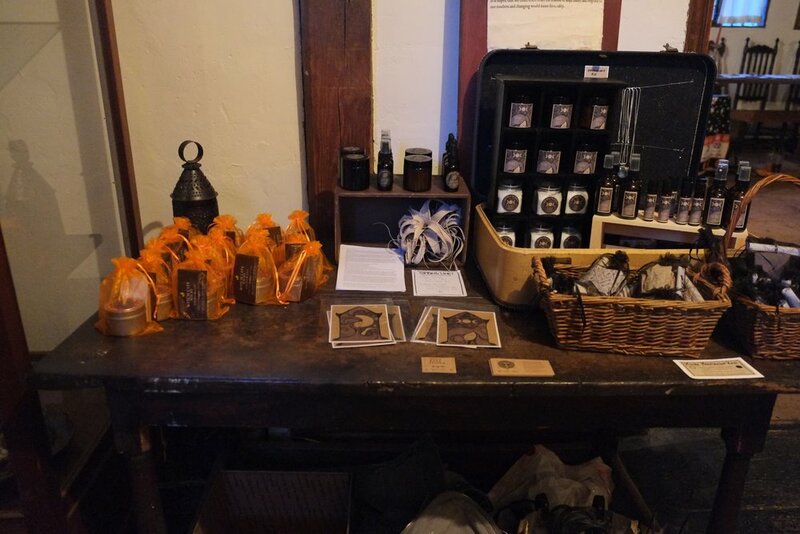 Guests also took home a specially-crafted herbal oil blend from The Chaos Factor, and a lovely spring candle from Witch City Wicks, both made exclusively for this event. 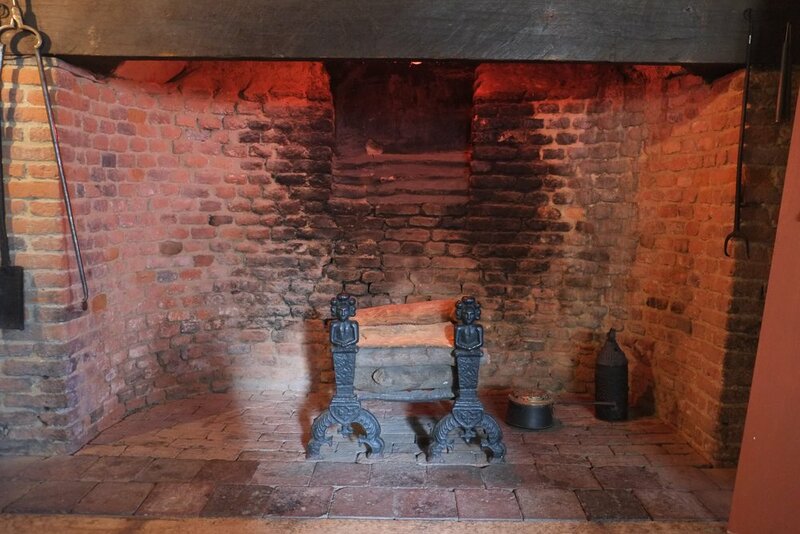 We were lucky enough to secure The Witch House in Salem for a night of yoga, tarot, and moon magic. 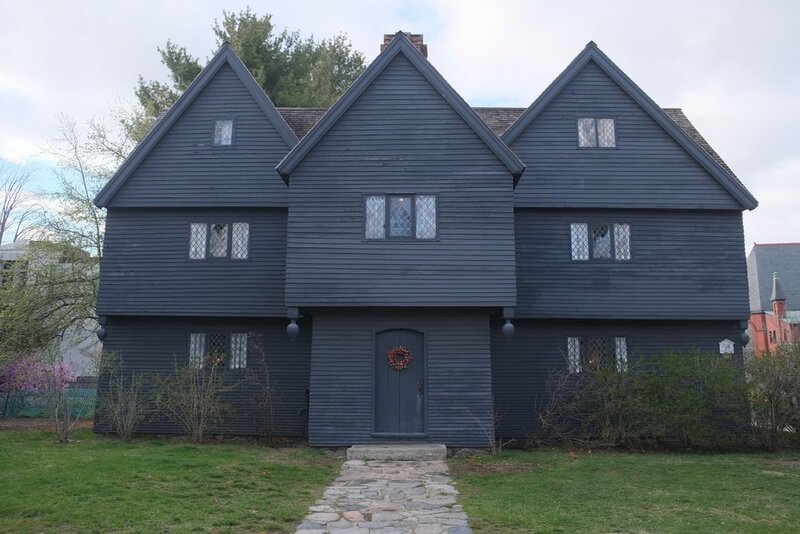 This is an important location due to the fact that it was the home of Judge Jonathan Corwin and is the only structure still standing in Salem with direct ties to the Salem witch trials of 1692. To be able to positively celebrate the rituals that were so persecuted back then was ironic and liberating to say the least. For this reason, we also donated 10% of all profits from the evening to Safe Child Africa, a non-profit that aids in supporting children accused of witchcraft in Nigeria. Yes, sadly, this persecution is still happening in 2018 and results in abuse, torture, and even death. Please check out the amazing photos taken at the event by Jules Lauritsen (Crabby Moon Child) of Creative Collective, and keep an eye out for a similar event to launch later this year!